100 Pink Flamingos Spotted in Chester! You are here: Home / News / 100 Pink Flamingos Spotted in Chester! 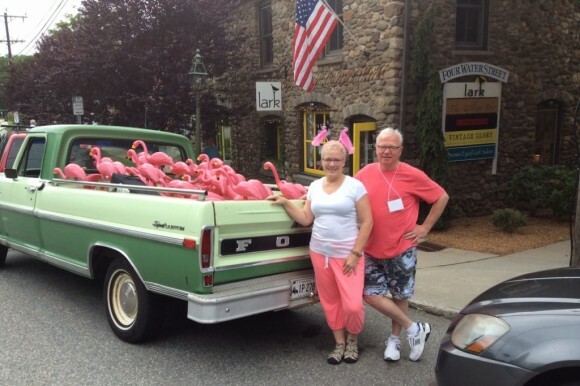 On July 13th, during the much loved Chester Sunday Market, pink flamingos converged on the lawn at 4 Water Street in front of a brand new storefront: lark! Rumor has it that scouts were sent in on Saturday, and the rest arrived Sunday by way of a 1970 pickup truck.